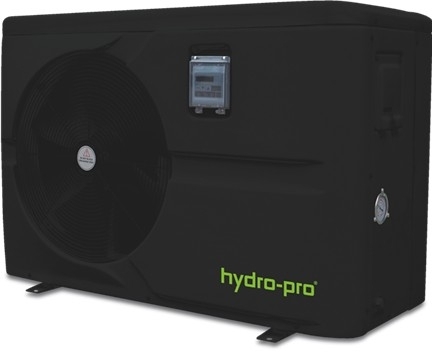 Hydro-Pro 5 Swimming pool heat pump. Heats pools up to 20 cubic metres. Requires a water pump with a minimum 2.5 cubic metres hour flow rate to operate correctly. 240V Single phase model - Running current 4.1 amps, we recommend the MCB circuit breaker controlling this circuit is a type D circuit breaker, if you are not sure contact us for help. The Hydro-Pro 5 swimming pool heat pump can heat a pool up to 20 cubic metres and offer heating to an outside air temperature of minus five degrees centigrade (-5°c). This makes this pool heater for people who use their pool on a seasonal basis from April to October. The greatest benefit of using these types of heating systems for your pool is the reduction in running costs. If you look at the graph below you can see that you can heat your pool over 5 times cheaper, compared top electric only heating.